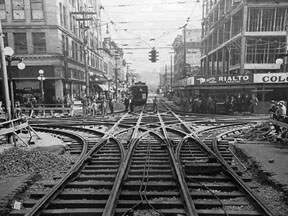 Looks like it was a major junction for the trolley system as well -- presumably those railroad ties were buried under pavestones before too long. 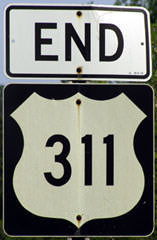 US 311 ended at the junction ahead, near the old service station. 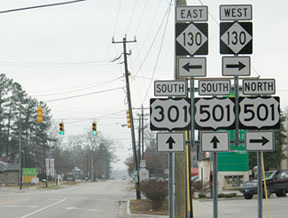 Northbound US 1 was straight ahead (just to the left of the station, aligning with NC 5 in the background), while southbound was to the right on Pinehurst. 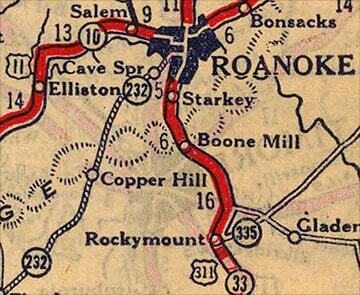 That was looking northwest at the south beginning of US 311. 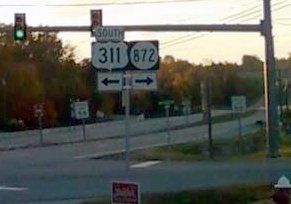 The off-ramp for northbound I-73/74/US 220 traffic is to the left, just behind the camera. The bridge in the middleground passes over the freeway. 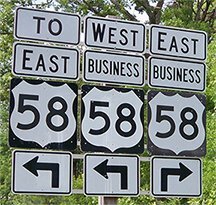 North is to the right, but if one wanted to go north on the freeway, the entrance ramp is to the left; it loops back around to the right to go under the overpass. 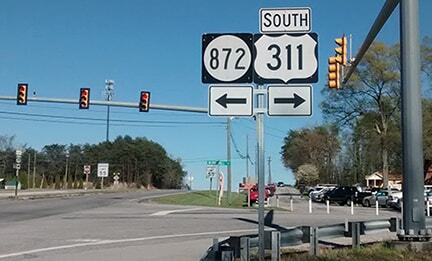 In that last photo, the traffic signal marking US 311's first Randleman endpoint is visible in the distance. 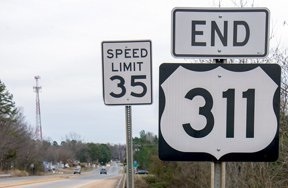 That was where NCDoT maps since about 2003 showed US 311 ending, but that road was not actually signed as US 311 anywhere north of its old Madison endpoint until Aug. 2011... eight years after its extension was approved! 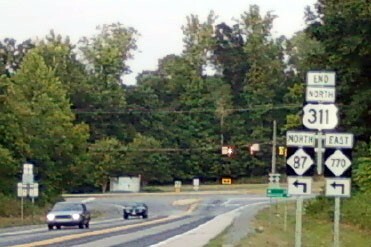 The north beginning of US 311 is to the left on what was formerly VA secondary route 863 (Berry Hill); signage was changed in October 2013. 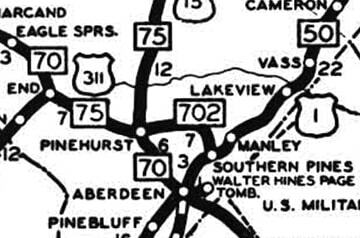 The overpass visible in the distance is mainline US 58, or Danville Expressway. 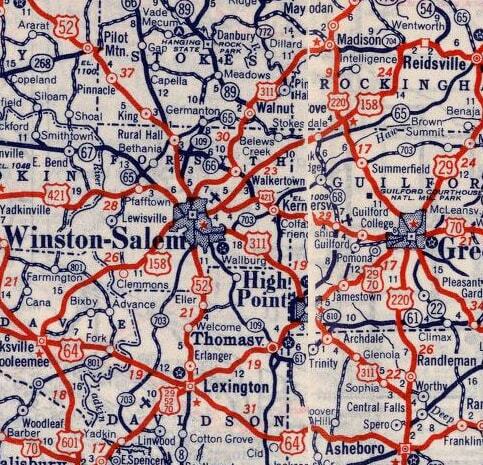 Under this US Ends .com proposal, US 360 should be extended with US 58 to that point, then exit and come to this intersection, and then continue to the left, subsuming US 311 all the way to Winston-Salem. last updated July 1, 2018.